🕋 ZEEPERPAPER 📪 Your daily news wire for 👉 2018-jan-09 – Zeepertje.com – Facts Fun & News on ISLAM, "The religion of peace"
Every article relates to an unique site, where you yourself can find more interesting items. Please leave your comments or suggestions below and please SHARE this news wire (bottom) as well as the items you might read, every day and everywhere you can. We must drain the mainstream media swamp also. Marcouch burgemeester van Arnhem, wie snapt dat eigenlijk? Juncker pleit voor hogere EU-begroting! 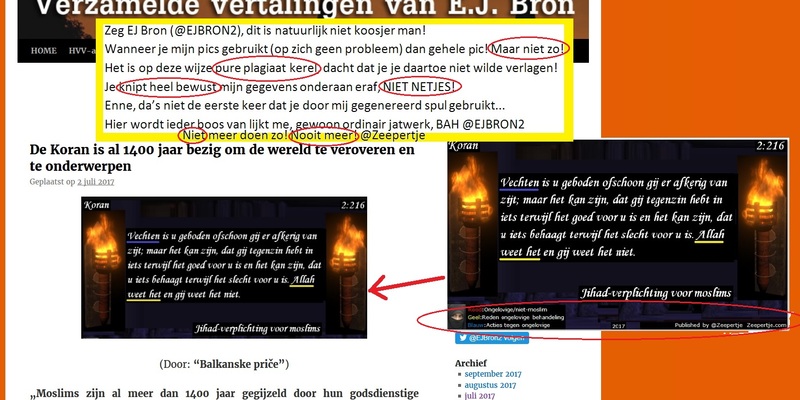 De westerse marxistische elites en de Jodenhaters in het Vaticaan willen van Israël een sharia-staat maken! Fatah-nazis meets with Heznazis to spark jihad against the Jews…….